The ADO.NET Architecture contains two main components. o Data Adapter  to pass data fetched from the database to the dataset for caching and making the data available even when the connection gets disconnected.  Dataset  Contains cached data fetched from the different databases. 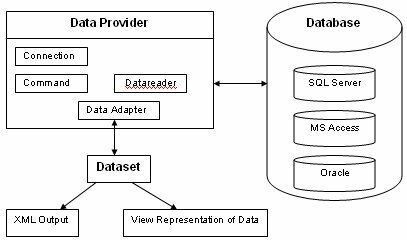 The data is fetched and maintained with the help of Data Adapter.